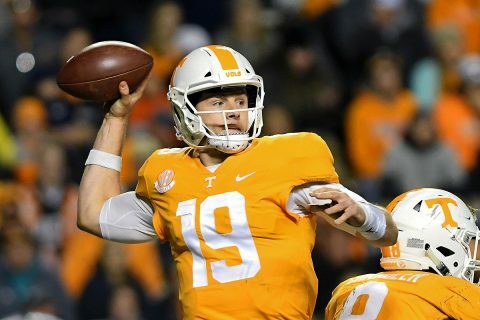 Knoxville, TN – It was a back-and-forth affair into the third quarter, but Tennessee was unable to keep pace with a potent Missouri attack in a 50-17 loss in front of a crowd of 88,224 on Saturday at Neyland Stadium. Sophomore running back Ty Chandler rushed for a pair of scores and 82 yards on 14 carries to lead the Vols’ offense. Redshirt senior Keller Chryst came on for the injured Jarrett Guarantano at quarterback and passed for 173 yards, including a pair of 49-yard tosses to junior wide receiver Marquez Callaway.